Q: Is there a way to make the dhtml pull down menu not reset after a link is clicked. but all the menus re-expand. A: When user clicks the link, the browser loads a new page and the script re-create the menu. A: You should change the selected tab depending on the page you are now. So, you can set "bselectedItem" parameter based on your link beforeyou call data.js file. For example, move "bselectedItem" parameter from data.js file to yourcode. TopXML : TreeView with XML Data Binding (.NET Framework) The Tree View Web Control offers more customization options than the The Tree View in that example displayed order and order details we read from a database. 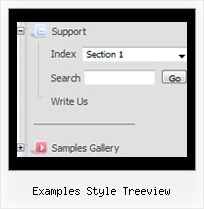 IE control treeview with link node (C#) : Tree " Components <iewc:TreeView id="TreeView1" style="Z-INDEX: 103; LEFT: 16px; POSITION: absolute; CODEGEN: This call is required by the ASP.NET Web Form Designer. 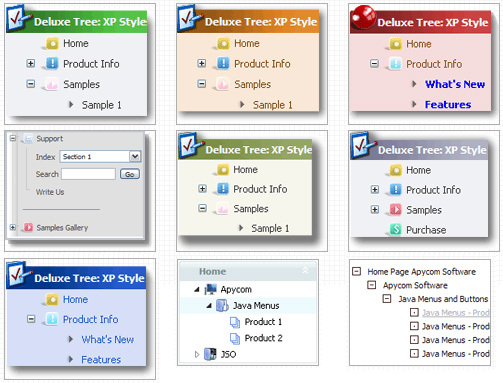 Advanced Treeview and Tree Menu Explorer Tutorial style examples giving both a great understanding of the capabilities and a good base from which to quickly build your own Treeview menu.